Lovely box containing our selection of chorizos and a recipe booklet. We can write a personal message on the gift tag. 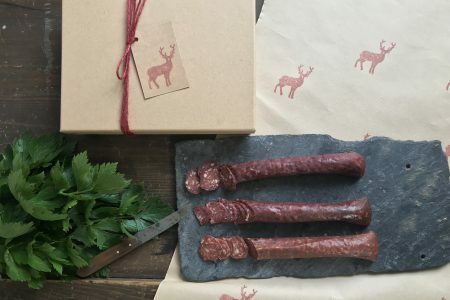 Scottish Wild Venison sustainably sourced from our local area in the Scottish Highlands. Only the Venison & Pork Chorizo contains pork, the other chorizos are made with pure wild venison. The products are all individually packed and have a 3 month shelf life. 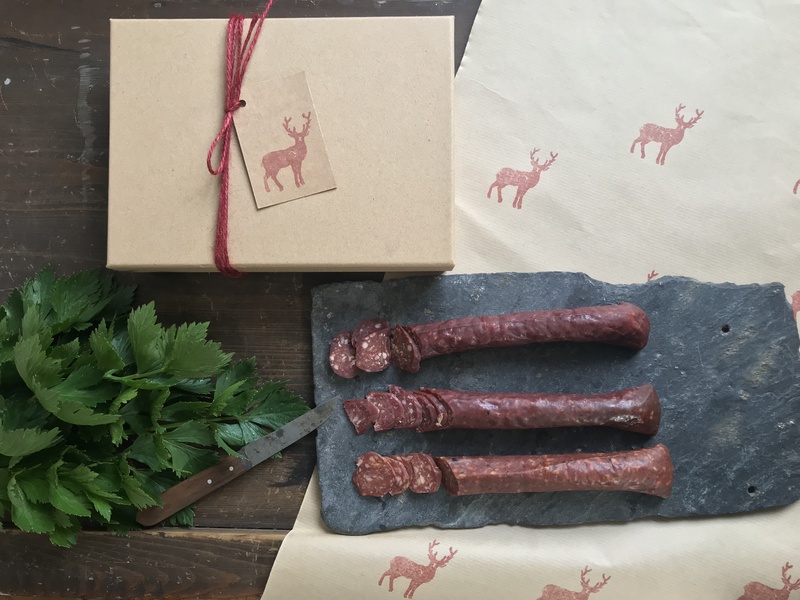 Gift box with our range of Wild Venison Chorizos and a recipe booklet.